Hello! My name is Lynetta, AKA the Digital Dorkette. 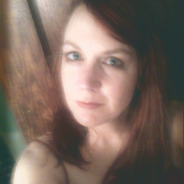 I'm a bookish red-head with glasses, in love with digital design & electronica. I freelance as a digital graphic designer in St. Louis, MO. Digital communication design is my forte, but making paper people is my passion. I'm in the process of creating my own paper doll design company called Digital Dorkette Dolls. I plan to offer collections of dolls based on characters from novels, movies and TV, as well as personalized paper dolls for weddings and special occasions. Right now I'm working to complete a Doll House of Horror collection, featuring devilish doll characters from scary movies like Claudia from Interview with the Vampire, or Samara from the Ring. If you are interested, please visit my blog at DigitalDorketteDolls.com, or stop by my ETSY shop at etsy.com/shop/DigitalDorketteDolls. I plan to use the lovely offerings of pixelscrapper.com as elements to complement my designs. Having an extremely limited budget, I so appreciate the affordability and I hope to be able to promote them as much as possible. In my downtime, I escape by collecting vintage ephemera and clothing, and now via digital scrap booking.